What better way to really discover the Island of Ibiza than by bike? You can really experience the wonderful Ibiza Countryside. 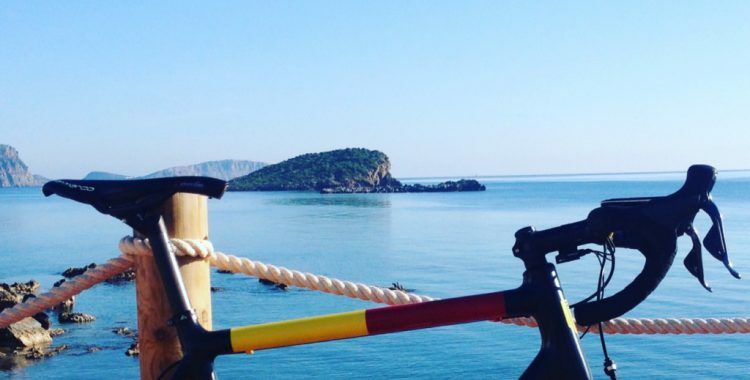 Velo Club Ibiza was launched in the summer of 2013 and provides Road and Mountain bike hire together with cycle tours that allow clients to explore and enjoy one of the world’s most beautiful islands by bike. From the casual cycle tourist to the performance driven rouleur VC Ibiza provides a friendly, personal service to ensure all levels of cycling passion and experience can be taken care of when on the La Isla Blanca. Founded by former record label owner, advertising exec and current Team Sky consultant Simon Rose, Velo Club Ibiza is something he had wanted to create since he first rode the island over 10 years ago. “I’ve been coming to the island for years, initially for the music scene however I soon realised through integrating with the local cycling community the terrain is like nothing else I’ve ridden and due to the climate here you can ride it all year round“.